1. 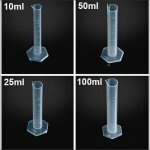 Default 10 ml, 25 ml, 50 ml, 100 ml, a dozen. 2. If you need other matching needs, please leave a message to us. 3. Please contact us for more capacity. 1. Default 10ml, 25ml, 50ml, 100ml, a dozen. 2. If you need other matching needs, please leave a message to us. 3. Please contact us for more capacity. 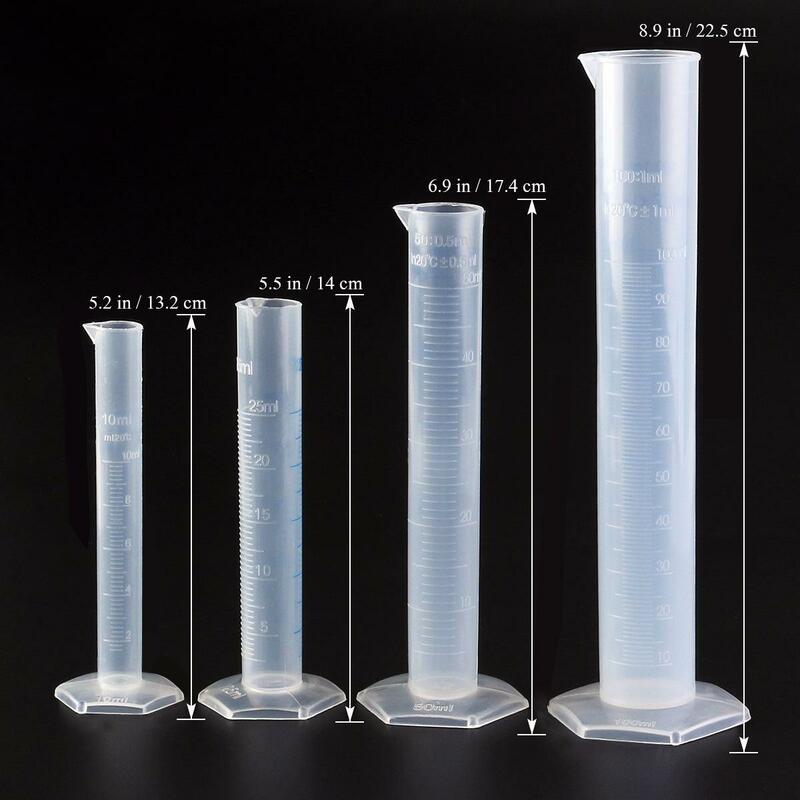 100% brand new and high quality Transparent Plastic Graduated Measuring Cylinder. 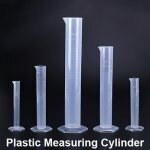 Plastic graduated cylinder for laboratory test. Wide rim and a tapered pour spout for easy filling and pouring. The non-wetting interior surface eliminates concave menisci, providing more accurate measurements. 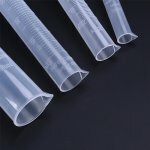 The wide pentagonal shaped base provides stability and makes the cylinder roll-resistant. The heavy-duty plastic withstands repeated autoclaving. 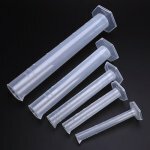 Switching from glass cylinders to Globes plastic equivalents will greatly reduce breakage and the potential for injury. 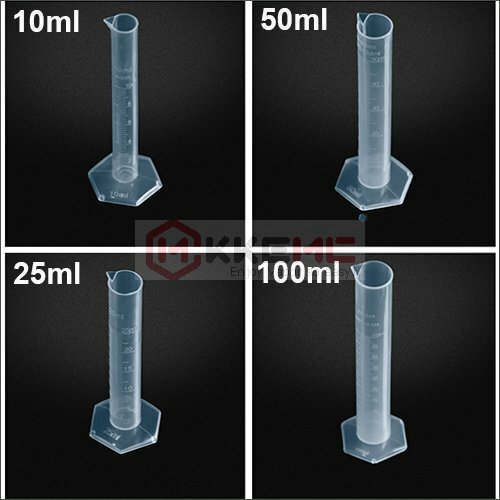 Default 10ml, 25ml, 50ml, 100ml a pack.